A-Z Bus Sales, Author at A-Z Bus Sales Inc.
Our Human Resources department will review your application. Comments Off on Thanks for Applying with us! OUR PURPOSE: As employee-owners, we provide safe and reliable transportation solutions that exceed customer expectations. 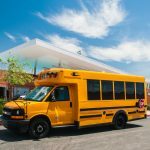 A-Z Bus Sales, Inc. is a transportation dealer-distributor serving the education, government, public sector, commercial and private fleet markets with a broad portfolio of bus. The employee-owned company specializes in green alternative fuel products. A-Z provides sales, service, parts, and financing for both new and pre-owned buses and vans. 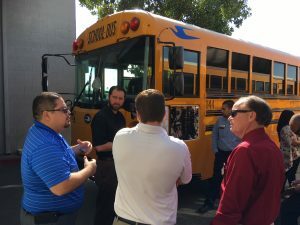 Founded in 1976, A-Z Bus Sales has built a reputation for outstanding customer service, long-lasting customer relationships, professionalism and integrity. Headquartered in Colton, California the company has multiple sales and service locations serving California, Arizona, Nevada, and Hawaii. 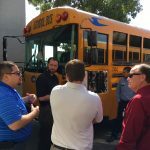 "The A-Z Bus Sales Service Team is committed to providing customers with quality, quick service with minimal downtime." Specialty Vehicles Low Floor ARBOC Spirit of America Trolley style bus makes for transportation for universities, colleges, cities, or special venues like amusement parks and shopping malls. Built on the low floor Freightliner XBA chassis, the Trolley is truly accessible for all passengers, making the trolley ideal for a variety of applications from transporting college students to and from their off-campus housing, to municipalities looking to attract increased ridership. 25 Passenger with Extra Large 37" Rear Luggage Compartment In-stock in Hawaii! Blue Bird’s Micro Bird G5 is synonymous with safety. 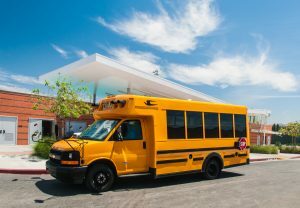 The new shuttle bus combines Blue Birds renowned safety and durability advantages like their one-piece steel roof bows with advances in visibility, serviceability, and comfort to bring you a shuttle bus in a class of its own. The extra-wide body design features more-view windows providing the driver with maximum visibility. Synonymous with safety, the Blue Bird Micro Bird G5 is constructed with galvanized steel body frame that ensures that all exterior elements, including dust, moisture, and noise remain outside, providing your passengers with a comfortable and safe ride. This Micro Bird shuttle bus seats 28 passengers in comfort, making it an ideal bus tour companies, executive transportation services, universities, or any other organization that has a need to transport passengers short distances.